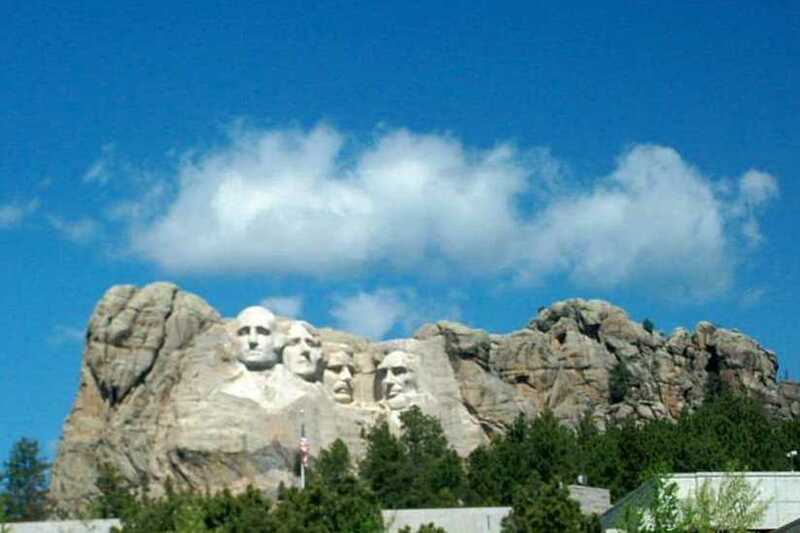 Just a short ride down the road and we were at Mt Rushmore, or on the road in front of it. Since the 9/11 terrorist attacks they have stopped the helicopter tours and any walking/rock climbing anywhere close to the monument, but there are however several trails you can hike inside the park that offer great views. We learned after arriving that you have to pay to park, you don’t pay to see Mt Rushmore, you pay to park your vehicle and walk to a viewing site and tourist shop; needless to say I was NOT paying to see a national monument, I feel as these should be free for all to enjoy. We found a safe pull off on the side of the highway to view it, get a short history lesson and take a few pictures; we always have to pull these pictures out to remind the lil one where all we have visited over the years. I cannot imagine the work it took to carve those faces in the side of this huge granite mountainside. To this day the lil one can still tell you who the first President of the United States was, I’m very proud to have some knowledge sticking in that little brain. I know I shouldn’t even put these two in the same writings together but our next stop was the polar opposite of Mt Rushmore, we left the enemies memorial and went to the heroes memorial; Crazy Horse. With the hubby being part Sioux, we had admission in to the museum free; this was one of the perks the Sioux people got for having their land taken all those years ago. The government has tried over the years to ‘make it right’ but in reality all the Sioux want is their land back, their burial grounds, their ceremonial grounds; all of these treasured grounds that many died to protect. 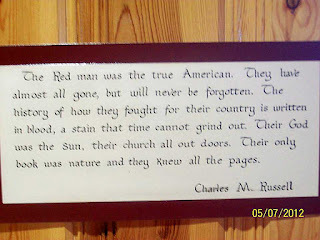 As a wasi’chu (non-Native) I can imagine what the Sioux people went through; it would be similar to if someone started tearing down EVERY SINGLE CHURCH, no matter the denomination; desecrating and ripping up all of the graves of our loved ones, you watching and not being able to do anything about it. 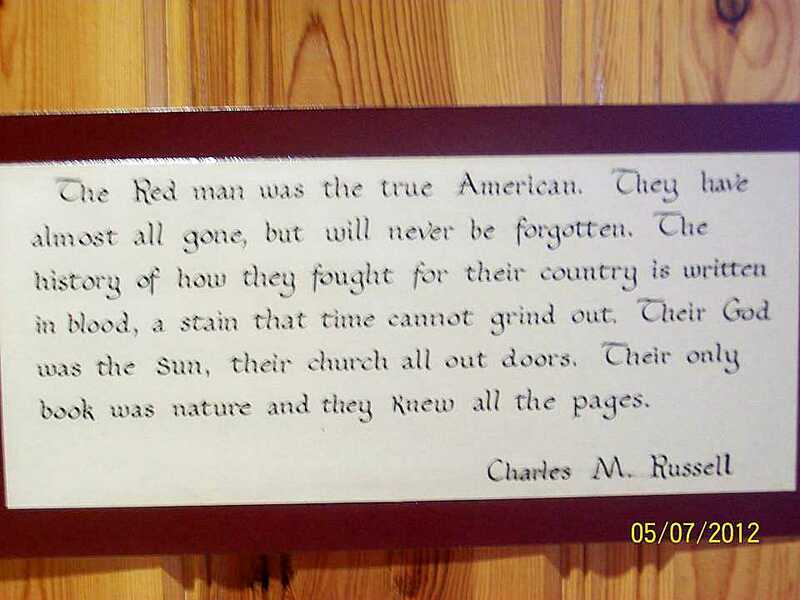 THAT’S what they went through and for years have fought to get back, only their land that holds all of their history and traditions within its borders. First off inside the museum was a short video on the history of the huge sculpture partially carved into the mountainside. 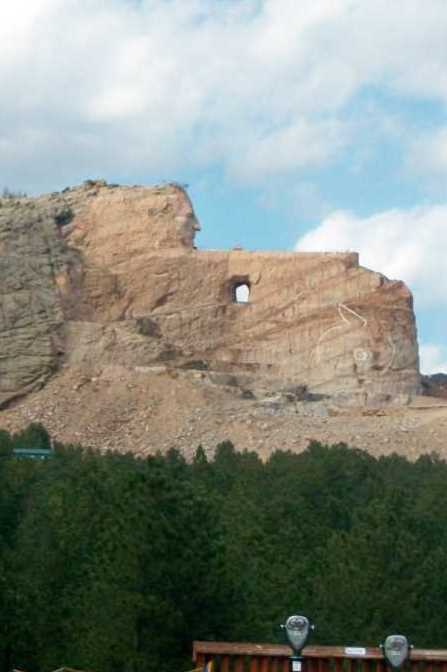 The Crazy Horse Memorial was started in 1948 by Lakota Chief Henry Standing Bear and sculptor Korczak Ziolkowski to honor the culture, tradition and living heritage of North American Indians. The lil one stayed glued to the screen, asking very mature heartfelt questions on what happened to the Natives and why the new people had to be so mean. The idea that someone could be killed for just not believing the same way another person did was hard for the lil one to understand. I truly value all of these moments as a homeschooler, the lessons seem to stick when the history has been experienced firsthand. 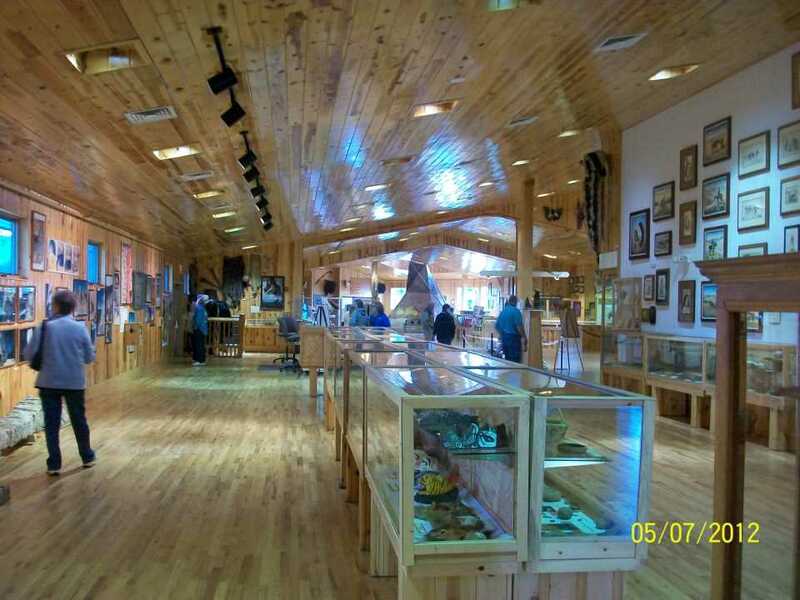 Next it was time to step back through time again and explore the museum filled to the gills with artifacts of the Native people. The walls were covered in original artworks from days of old; floors were filled with very primitive tools and weapons. 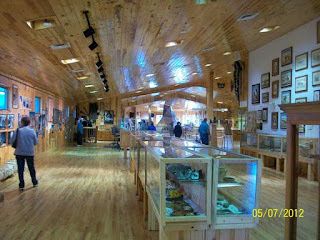 Glass cases filled with sacred artifacts to simple children’s dolls and toys lined the walls; there was a teepee set up so the lil one could explore the lifestyle of the Natives. We spent a good amount of time exploring here and using the knowledge in front of us as a history lesson for the lil one. Before we knew it we were turning a corner to go outside and view the monument without a sheet of glass between us. It was truly an amazing sight to see what had been accomplished with very limited funding; you see they have refused government funding from the beginning, relying on contributions and admission fees to fund this monumental dream and vision. The hubby had marked one of his bucket list items off, the lil one and I enjoyed the new sights and history lessons here. Soon we were in an area that had traditional crafts of the Sioux being performed right in front of our eyes. There were beaded necklaces, dream catchers, painted feathers, way too many to remember and explain here; this is a must see if you ever find yourself in the Black Hills with a few hours to spare. We fell in love with every single item that we laid our eyes upon, but of course we were on a budget of monies and space inside the rig; the memories and pictures would have to serve as our souvenirs from this trip. On our way to the truck there was one more very interesting stop, the sculptor’s log studio home and bronze sculpture showroom. There we viewed original sculptures Korczak had done himself; one was of his wife among other pieces he had completed. The log cabin studio home was very small when you thought of raising ten kids in it as they had. On every available surface you could see pieces of art; many of them completed some in different stages never to be finished. Grudgingly we took a few last minute pictures outside of the museum and loaded back into the truck to head back along the scenic roads back to Rapid City for dinner and bed.